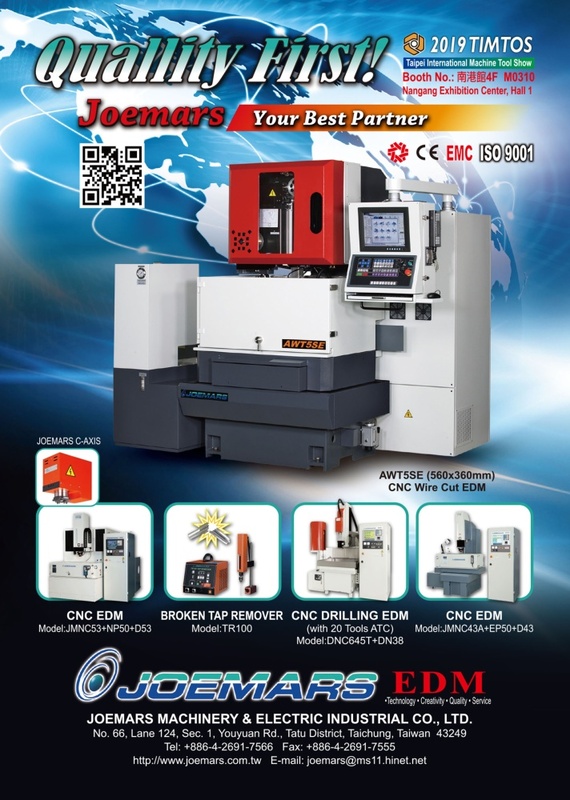 Joemars Industrial Automation Co., Ltd., founded in Jul. 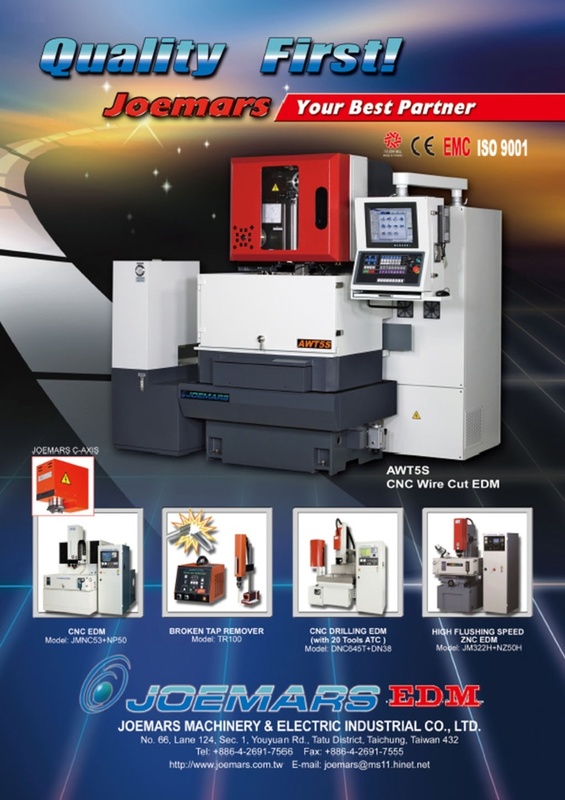 1989, by the President Mr. Chen, Shun Yuan with team of elites in EDM, features superior R&D, humanize management, high quality products, great service and solid credibility that pump up sales. The annual sales grow sharply at 20% to 50%. With excellent technique and quality products, it has great market share in EDM business. Within several years, Joemars has outperformed the competitors, becoming an outstanding manufacturer in the industry. To serve client in Mainland China better and expand market, it established foreign-ventured Changzhou Joemars Industrial Automation Co., Ltd. In Nov. 1997., applications and services.